The cell cycle inhibitor p21CDKN1A is a protein playing multiple roles not only in the DNA damage response, but also in many cellular processes during unperturbed cell growth. The main, well-known function of p21 is to arrest cell cycle progression by inhibiting the activity of cyclin-dependent kinases. In addition, p21 is involved in the regulation of transcription, apoptosis, DNA repair, as well as cell motility. However, p21 appears to a have a dual-face behavior because, in addition to its tumor suppressor functions, it may act as an oncogene, depending on the cell type and on the cellular localization. As a biomarker of the cell response to different toxic stimuli, p21 expression and functions have been analyzed in an impressive number of studies investigating the activity of several types of chemicals, in order to determine their possible harmful effects on human cells. Here, we review these studies in order to highlight the different roles p21 may play in the cell response to chemical exposure and to better evaluate the information provided by this biomarker. 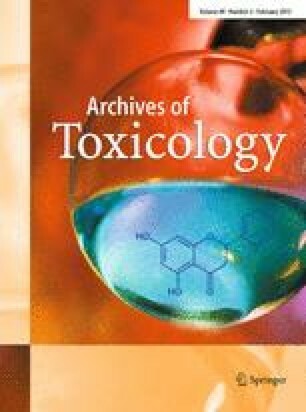 Owing to space limitations, it has been not possible to cite several works dealing with p21 and aspects related to chemical toxicity; we apologize to these Authors. Work in the Author’s lab has been supported by Grants AIRC (5126 and 11747 to EP), and previously by a MIUR Grant to LS. ID is a Ph.D. student of IUSS (Pavia).